We know the right time of year you can glimpse creatures who, for the most part of the year make the ice and ocean their home. In October and November, Churchill becomes the “Polar Bear Capital of the World”. 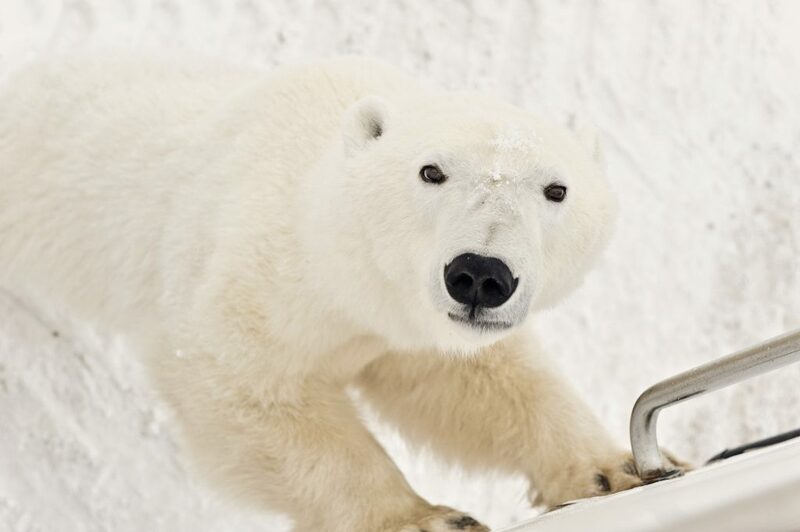 Your camera may capture the polar bear’s elemental beauty, but only your imagination can comprehend its raw power. Ask us about the best time of year to travel north. The town of Churchill, on the shores of Hudson Bay, is the polar bear capital of the world. Enjoy prime viewing from the comfort and safety of your tundra buggy. The Inuit people of the Arctic call the polar bear Nanuk, meaning ‘Animal Worthy of Great Respect’. Others say ‘Titan of the Tundra’. Whatever you call it, awe is what you will feel upon first encountering this mighty animal. This is truly a once in a lifetime encounter.